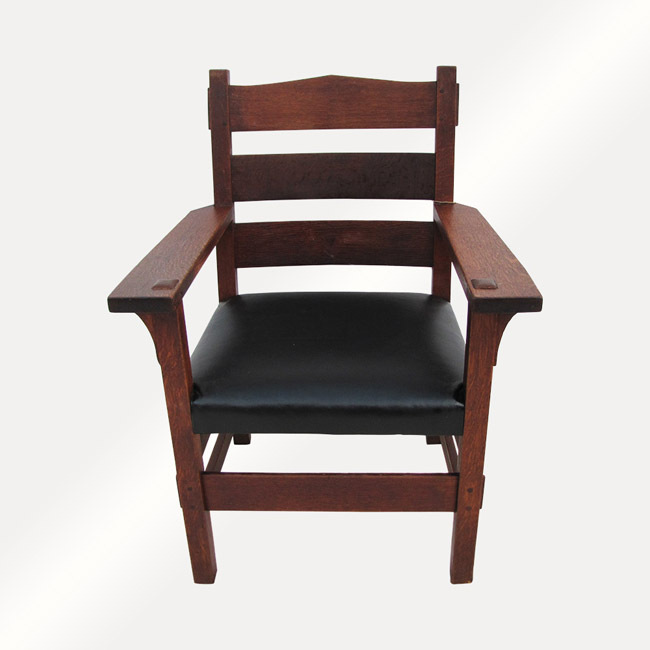 This is an Antique Rare & Early Gustav Stickley Thornden Armchair from the early 1900’s. 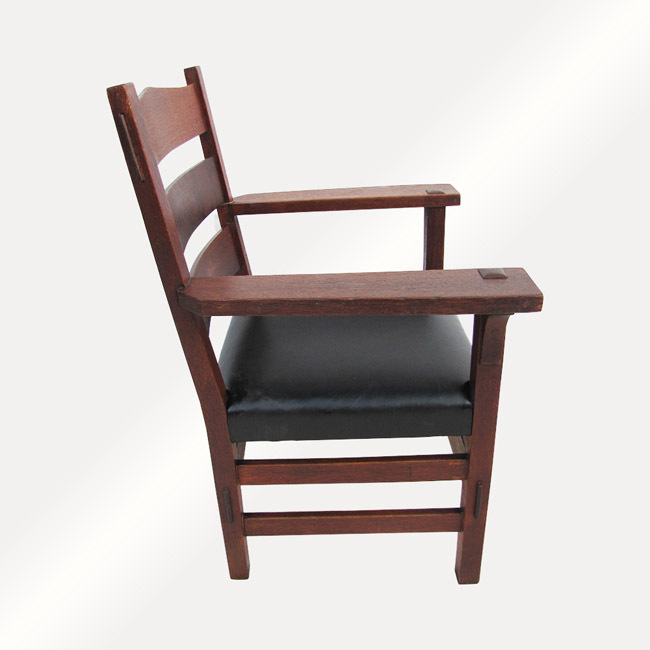 This is a great looking famous Thornden design chair that is in very good condition. 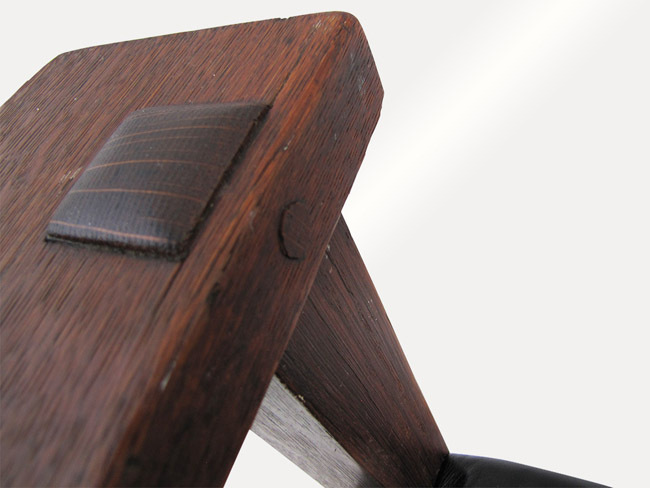 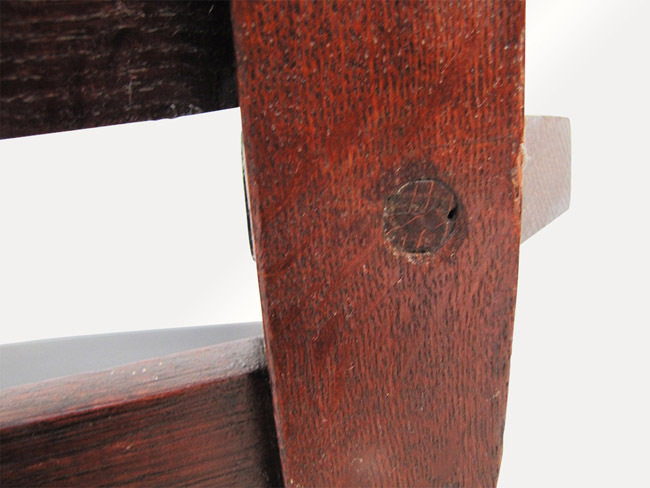 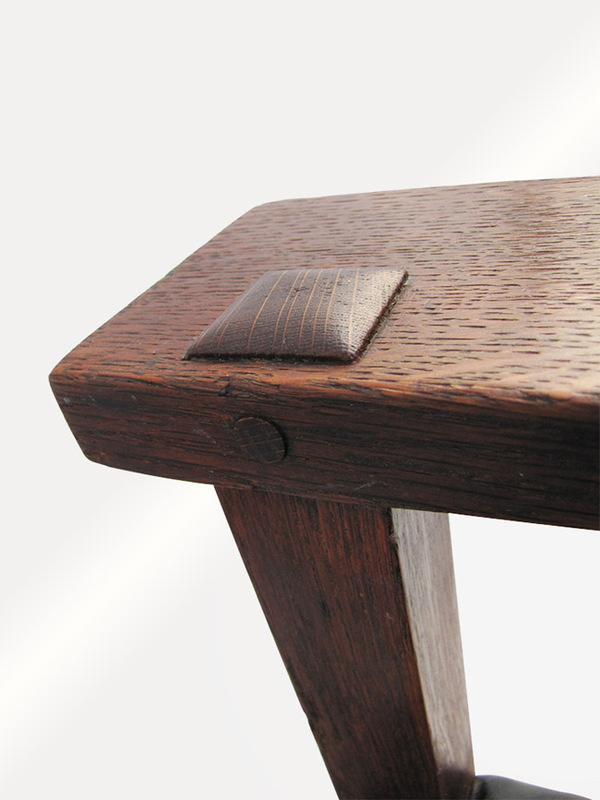 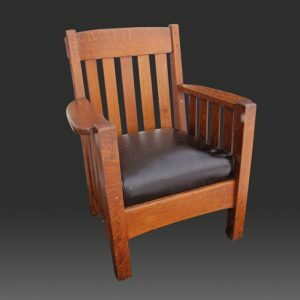 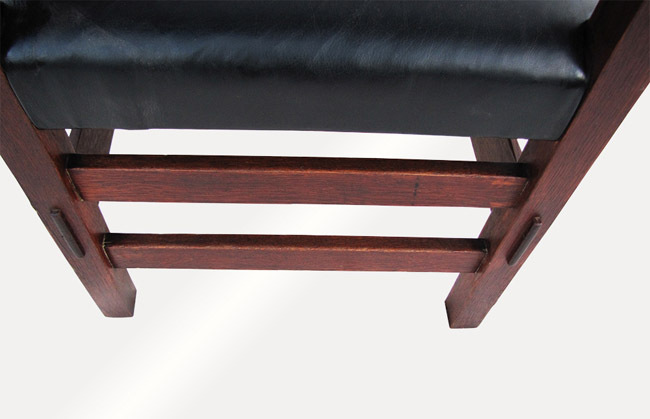 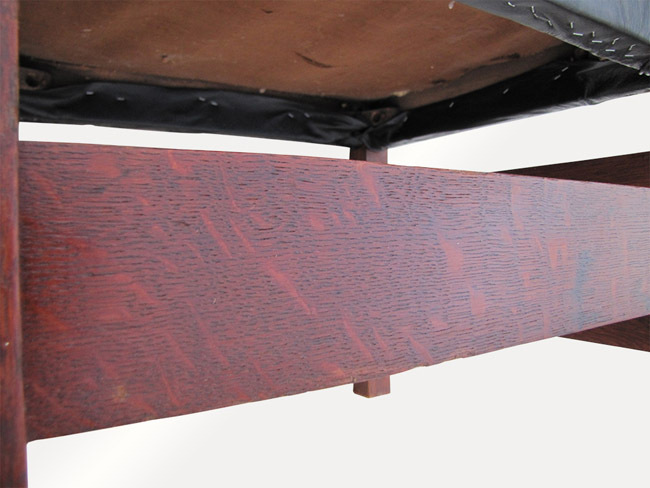 The chair is double pinned on the top and the bottom and also has the Thornden through tenon construction on the front and back bottom and on the backrest. 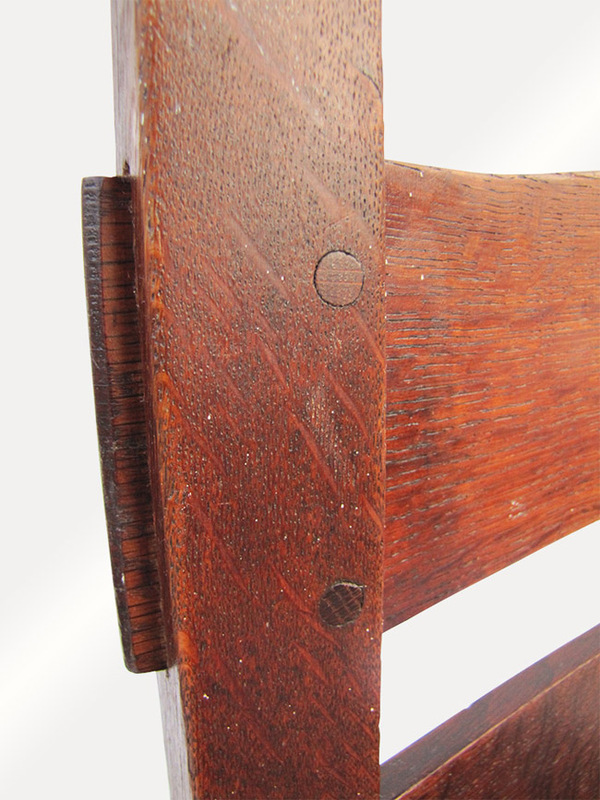 Each of the arms has a through tenon and pinned construction. 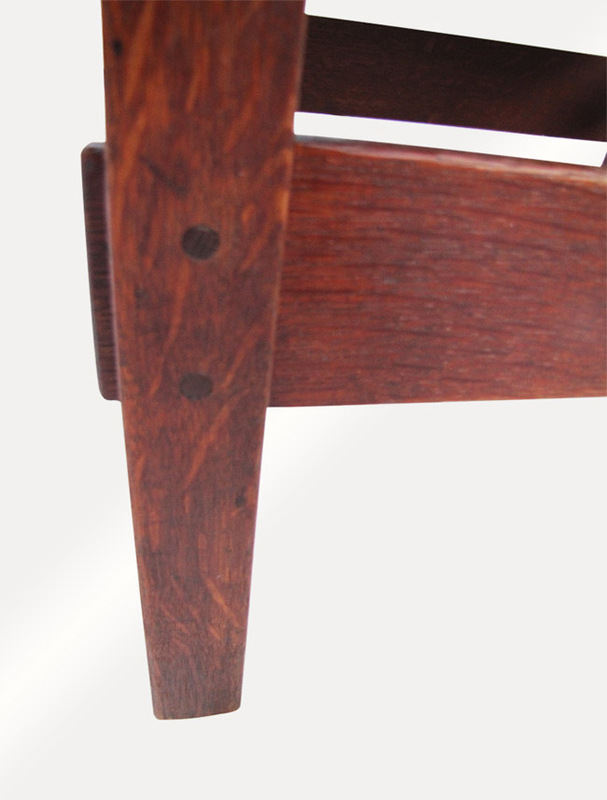 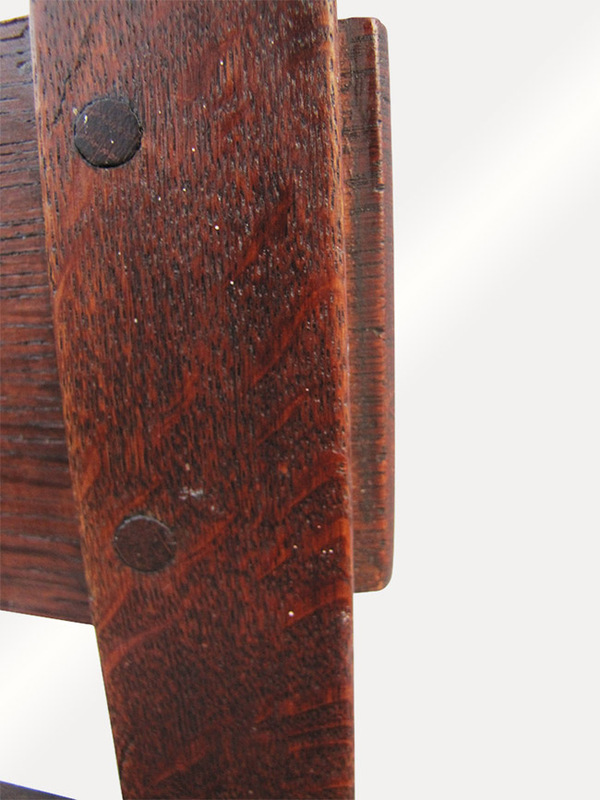 The chair is marked with a 1903 red Gustav Stickley decal. 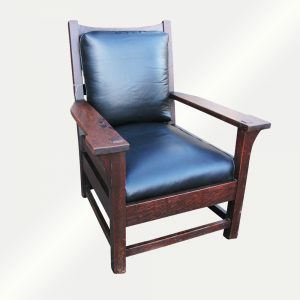 The chair was made with a great selection of oak and is a beautiful looking chair. 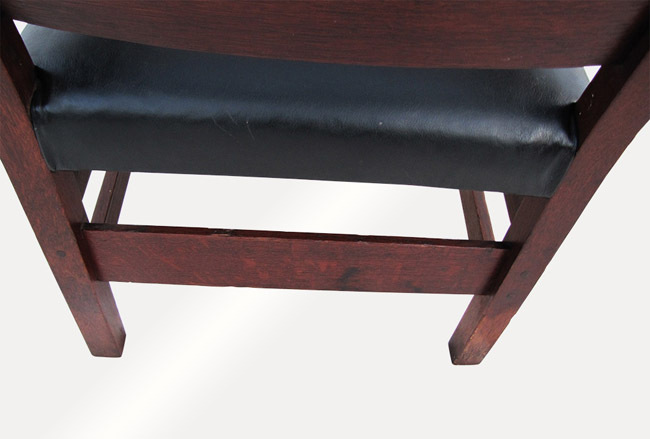 We use a very high-quality leather and if you go to others dealers you will see the difference. 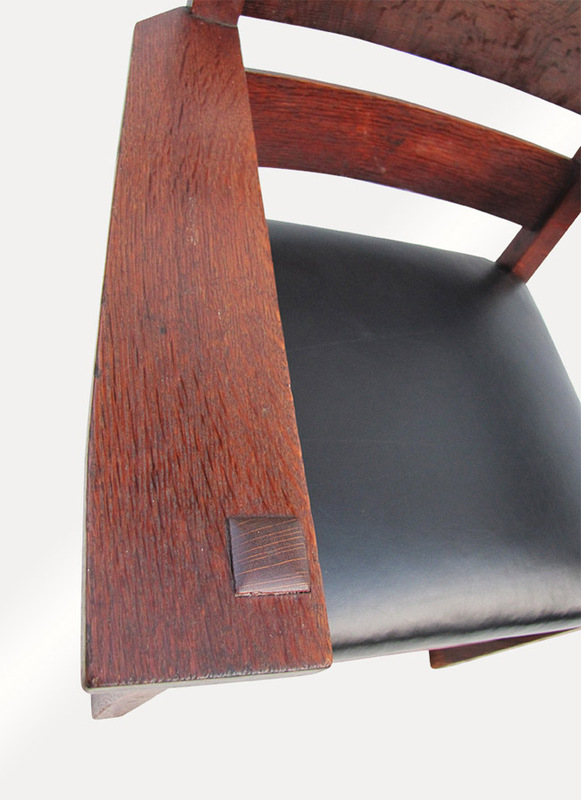 Also, we try and make all of our furniture as time period correct as we can. 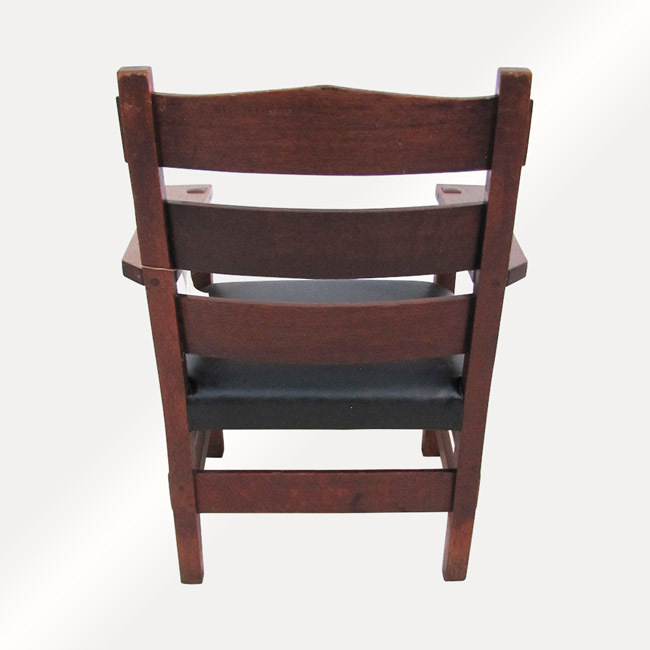 This chair is sturdy and strong and is ready to be used in your home or business. 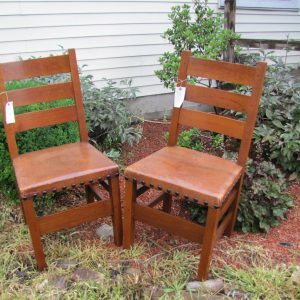 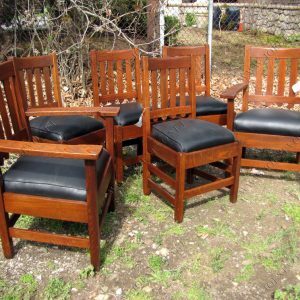 We do have several chairs listed and if you need more than one we will combine shipping to save you money.